Believe it or not, it’s almost time for back to school! 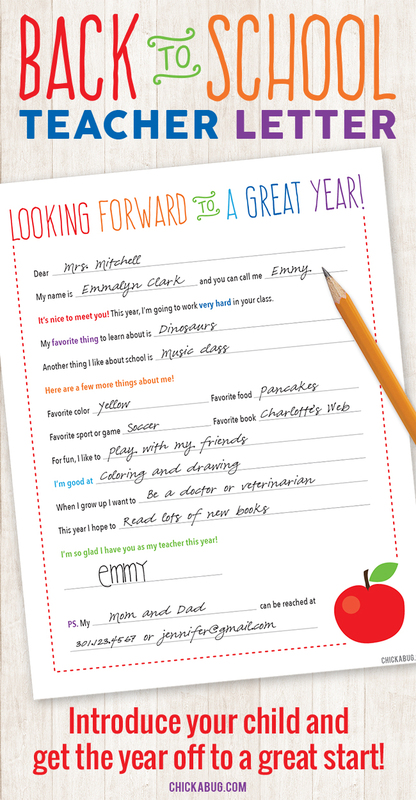 Today I want to share this free printable back-to-school letter to the teacher with you. It’s a sweet (and practical!) little Q&A that will introduce your child to their new teacher and get the year off to a great start! I hope you enjoy this letter! Good luck to your kiddos at school this year!! I can't seem to get the document to send to either of my emails. I have checked my junk box too. Any ideas?